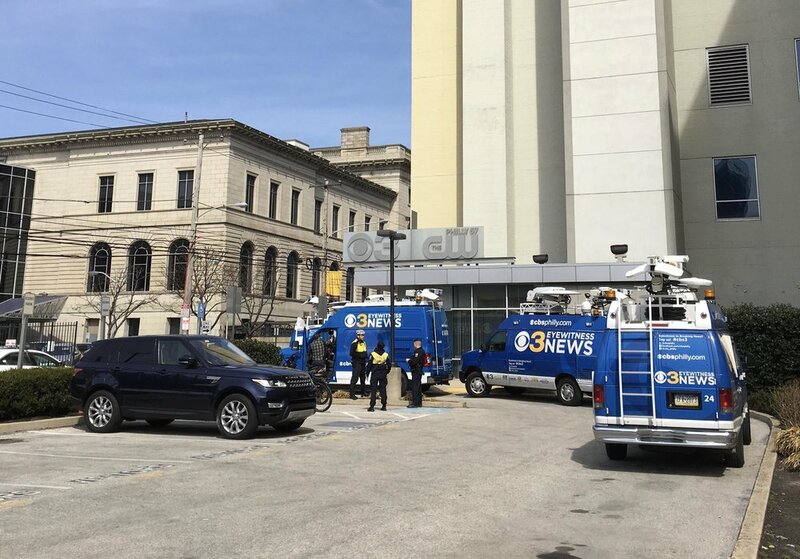 Philly Station is Threatened to be "Blown Up"
Sources tell FTVLive that yesterday morning a threat was made against KYW TV and radio. The head of HR for KYW-TV circulated an email from sister radio station KYW-1060 that a series of threats had been made. Sources say one suggested the building would be blown up around noon. People taking a walk outside the building, saw the KYW live trucks had been positioned as barricades at an entrance to the Center City studios. Also, Philadelphia Police officers were staged around the property as the threat was seen by management as a “credible” threat. FTVLive spies snapped a picture of the trucks outside the station’s enterence. Both TV and radio operate out of the same floor of the building. Many other tenants occupy the mid level high rise. This comes 3 months after a security guard was attacked by a man armed with a chain. That suspect had threatened employees of the TV station before and was allegedly waiting to see a News Anchor when the chain attack unfolded.